The No. 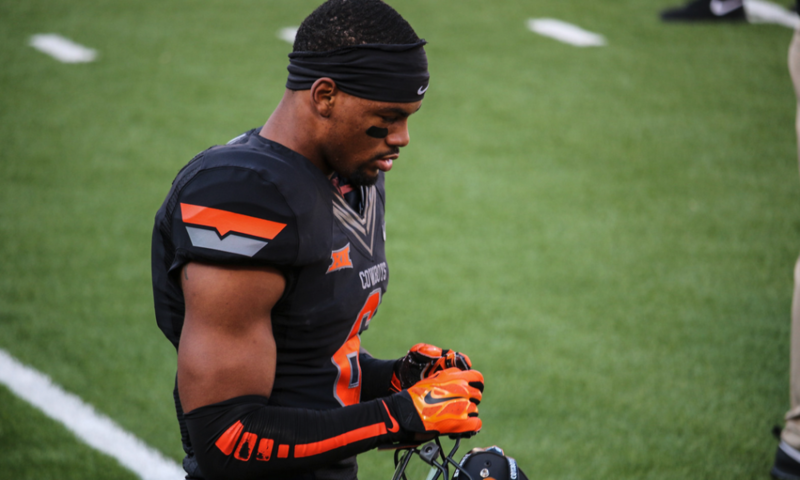 24 Oklahoma State Cowboys pulled off a minor upset Saturday, beating the No. 17 Boise State Broncos 44-21 at Boone Pickens Stadium in Stillwater, Oklahoma. OK State improved to 3-0 and established itself as a threat in the Big 12, while Boise State dropped to 2-1 and saw its hopes of playing in a New Year's Six bowl take a major hit. The Cowboys turned in an impressive all-around performance. Senior quarterback Taylor Cornelius led the way with 15-of-26 passing for 243 yards and one touchdown, as well as 41 yards and two scores on the ground. Junior running back Justice Hill chipped in 123 rushing yards and a TD. The Oklahoma State defense held Boise State to 31 rushing yards on 31 carries and sacked Broncos quarterback Brett Rypien seven times. Even special teams played a big role, as OK State blocked a pair of punts, including one that was returned for a touchdown. After falling behind 7-0 early in the second quarter, the Cowboys scored touchdowns on back-to-back drives and entered halftime up 17-7. 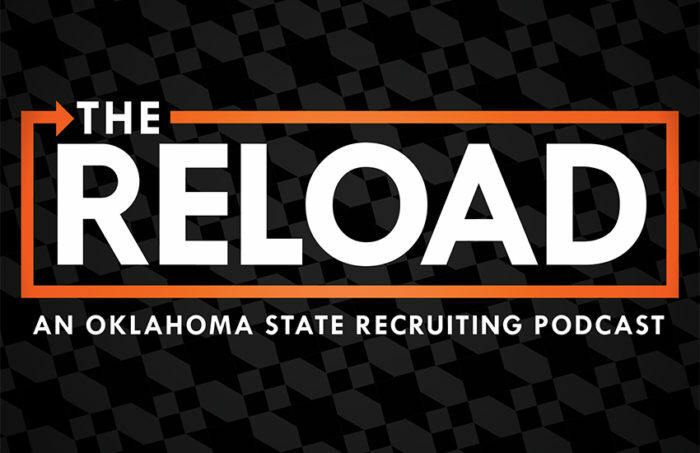 With the momentum firmly on Oklahoma State's side, it never relinquished the lead. Oklahoma State head coach Mike Gundy has led many quality teams since 2005, but Saturday's performance suggests the 2018 Cowboys are his best outfit. 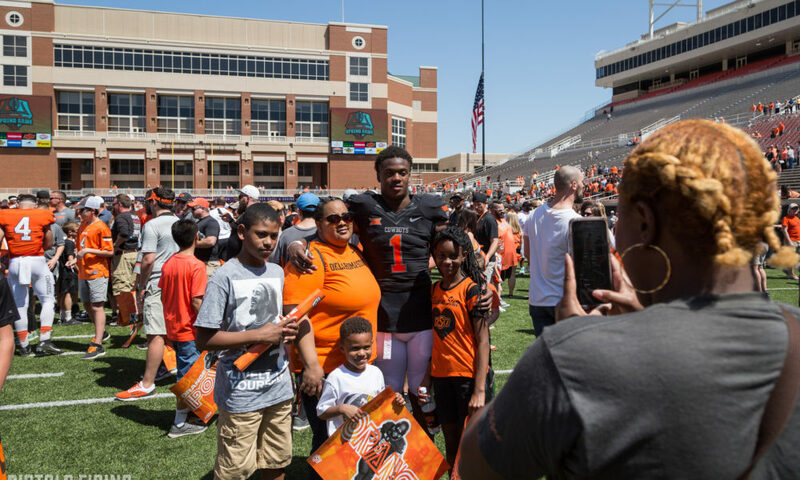 Cornelius didn't put up the type of eye-popping passing numbers Mason Rudolph often did during his time as the Pokes' starting quarterback from 2015 to 2017, but he put his receivers in good spots and did damage with his legs Saturday. Boise State has clearly never seen a runner as physical and dominant as #okstate quarterback Taylor Cornelius. It didn't always look good when Cornelius ran, but he kept the Broncos honest. The Cowboys also have Hill, who's a star-caliber back, and their receiving corps of Jalen McCleskey, Dillon Stoner, Tyron Johnson and Tylan Wallace is possibly the country's best. Stoner was especially good Saturday, as he took a short pass from Cornelius and turned it into a 32-yard touchdown in the third quarter. Two of OK State's big plays came in the form of a pair of blocked punts. That led to a one-yard touchdown run from Cornelius that put Oklahoma State up for good. #BoiseState QB Brett Rypien has thrown from a ton of clean pockets this year. That just not the case today. Credit the rush AND the coverage of #OKState. Also: By my count, he attempted one pass outside the pocket over the first two games. After recording a sack in each of Oklahoma State's first two games, junior defensive end Jordan Brailford registered three against the Broncos. Defense is often an elusive entity in the Big 12, but if Oklahoma State can continue to get to the quarterback, it may be the conference's best team. Oklahoma, West Virginia and TCU may all have something to say about that, but Gundy's squad looks like a threat to win the conference and advance to the College Football Playoff for the first time. The Broncos looked like world-beaters to open the season when they outscored Troy and UConn 118-27. When the competition level ratcheted up against Oklahoma State, though, Boise State's deficiencies became clear. Rypien was excellent as usual with 380 passing yards, three touchdowns and no interceptions, but his protection was lacking, which prevented him from making more downfield plays. Boise State’s offensive line is getting exposed today. Brett Rypien is about to leave Stillwater in a hearse. Rypien did have some support from his receivers, as they nabbed a few impressive touchdowns. In the second quarter, John Hightower made a diving grab for a 31-yard score to help give Boise State a 7-0 lead. Even though Rypien and the offense made big passing plays, they couldn't overcome the team's other struggles. The punting game is a concern since both Quinn Skillin and Joel Velazquez had punts blocked. Also, kicker Haden Hoggarth missed a 27-yard field goal in the first half that could have given Boise State the early lead. The team's defensive struggles weren't overly shocking, since opponents often have a hard time against OK State's explosive offense. But the Broncos couldn't force any turnovers. The Broncos may be good enough prevail in the Mountain West Conference, but if they don't get better contributions around Rypien, they'll be in huge trouble against better competition during bowl season. Boise State entered this week as the top-ranked team from the Group of Five, but that status will likely change. The Broncos were just one spot ahead of the UCF Knights, who were idle because Hurricane Florence forced the cancellation of their game against South Carolina. UCF had question marks before the start of the season, since head coach Scott Frost departed for Nebraska, but the Knights looked great in their first two games, outscoring their opponents 94-17. Quarterback McKenzie Milton has thrown for 589 yards and six touchdowns through two games, but most impressively, the Knights have three players with at least 100 rushing yards. The Knights went undefeated last season, and they have yet to show signs of slowing. After playing in and winning a New Year's Six bowl last season, UCF controls its destiny again in that regard, and it has already shown it can perform in high-pressure environments. If Boise State doesn't correct its issues and get help in the form of a UCF loss, it will be forced to settle for a lesser bowl again. Oklahoma State will be expected to improve to 4-0 when it hosts the Texas Tech Red Raiders next Saturday. The Cowboys have a favorable schedule in the coming weeks and won't face their first huge test until they take on the Oklahoma Sooners on the road Nov. 10. Boise State will regroup on the bye next week before clashing with the Wyoming Cowboys away from home Sept. 29. Despite Saturday's loss, the Broncos have a chance to run the table and remain in the New Year's Six conversation.